For my family trip to Spain, I wanted to stay in apartments whenever possible. They are the best option for my family when we travel for longer times. That’s how I found Valencia Flats. This is an aparthotel with a unique style that ended up being perfect for my family. We had the attention of a hotel and the privacy of an apartment. 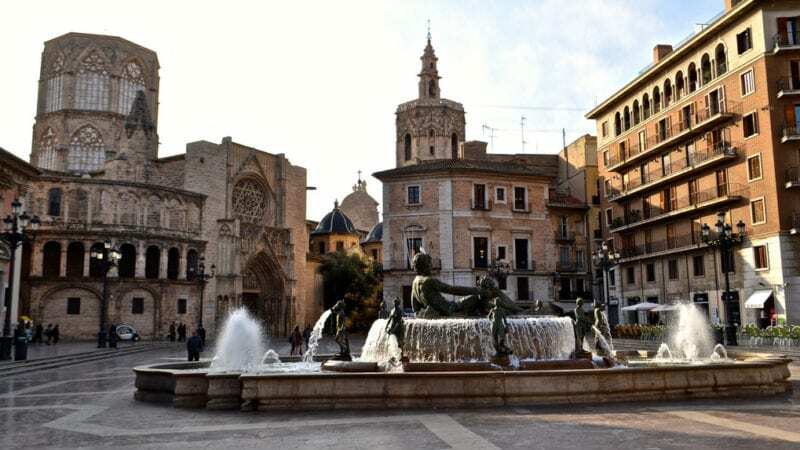 For a recent family visit to Spain, I decided that my family and I would be staying at private apartments or aparthotels if available in the area. It is more convenient for me when traveling with my sons. The only city among the ones I wanted to visit where I found a good aparthotel was in Valencia. It is called Valencia Flats. One of its main selling points was the location, only blocks away from the historic district. There are tons of supermarkets, restaurants and cafes also within a couple of blocks. It even included a garage. I know that getting a car for traveling in Valencia is pointless, but we were driving around the country so we got one for two weeks. And having a place to park it safely was important, even if the fee was 14 Euros per day. 1. Separate rooms – We had a one room flat but we still had the benefit of a living room. So the kids can hang out while we rest or catch up on work in another room. My boys were also able to take a nap in the bedroom while we chatted in another room. 2. Breakfast and other meals – Nothing beats making breakfast in your pj’s. An aparthotel lets you stay comfy while cooking. And my boys had space to play around as we prepared to go out for the rest of the day. Plus, having such active days of exploring, my boys get hungry at the most random hours. We would have been broke if we went to restaurants every time they asked for food. Having a kitchen was a blessing. 3. Downtime – I mentioned this before, but it’s worth repeating. We could all sleep or hang out at the living room without disturbing anyone. 4. Laundry – This was such an important convenience to me. You also save on getting your clothes being washed. And I could proceed to my next destination with a suitcase full of clean clothes. 5. Reception area – At aparthotels you get the privacy of an apartment but you still have a receptionist is there for anything you need. Plus someone will be there immediately if you have any issues. The experience starts even before you walk into your room or apartment. Whoever meets you at the entrance of any hotel can set the mood for the entire stay. In this case, the receptionist was extremely helpful and made sure everything was right for us. Because I travel with kids, there were a few things I asked for and she delivered everything whenever we asked. The laundry service is in a separate area, so she took me there and helped me out with the first load instead of simply pointing out where it is. The apartment we stayed at had a very unique style. The easiest way to describe it is as a big slice of pizza. The part of it where the entrance is would be the crust part. In it you find the living room, dining room and kitchen. The bedroom is open but has a wall that separates it from the living room. If you continue onward you find the narrowest part, the bathroom. There was also a large balcony that went from the living room all the way to the bathroom. This building had 35 units and is six floors tall. All of the apartments are the same size but only seven including the one we stayed at have a dishwasher. I don’t mind having to cook even when we travel, but I draw the line of washing dishes. This is simply one of those things I can’t stand doing. So having a dishwasher was a family fun saver! It was founded in 2006 by three friends. 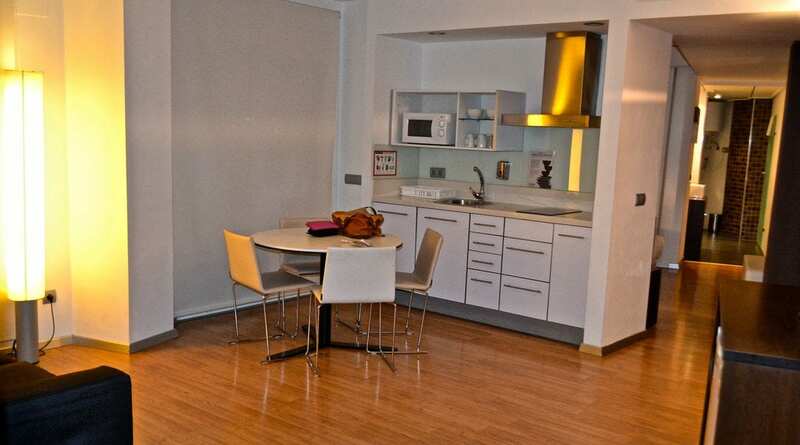 Valencia Flats offers 300 apartments for short stays distributed in eight buildings (aparthotels) around Valencia. They also offer three hotels for those who prefer regular hotel rooms.